Caution: If shower gel gets in your eyes, rinse them with warm water. Aqua, Sodium Laureth Sulfate, Cocamidopropyl Betaine, Parfum, Cocamide MEA, Glycerin, Sodium Chloride, PPG-12, Citric Acid, Sodium Benzoate, Limonene, Linalool, Caramel. 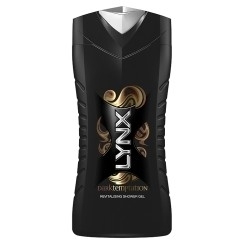 Lynx Dark Temptation Shower Gel is a good cleanser with lots of foam form a few drops, however, it has too much chocolate and red pepper to it, my husband prefers much fresher scents (which can be found in other Lynx shower gel). The old design of the bottle was better and more convenient, new one reminds me too much of a handle of a gun...and seems a bit too brutal. 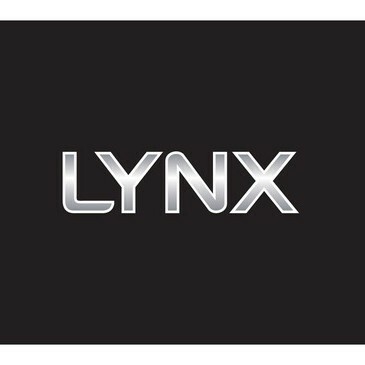 Although in general Lynx' gels are good in all their washing properties, this specific one is scented in a way that is too sweet and overly spicy. Lynx Dark Temptation Shower Gel is a refreshing shower gel that my husband uses in the morning, he uses this because he loves the chocolate scent in the shower gel,it is very good at moisturizing, makes his skin soft, smooth and he feels way fresh and clean. he only uses a small amount and it lathers very well also it comes out orange and turns white and foamy. i would definitely recommend. Nice gym product but not one I'd use every day.